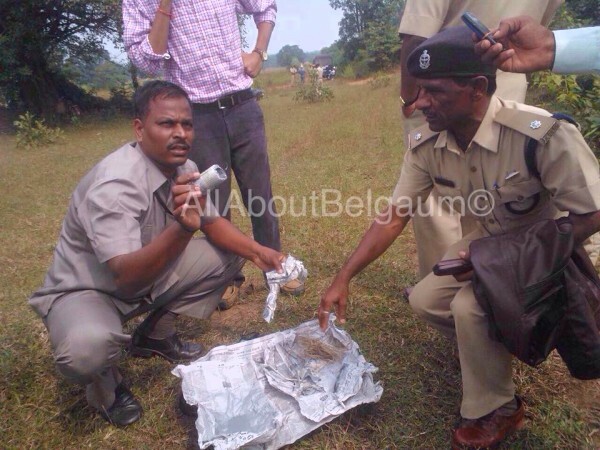 2 crude bombs of low intensity were recovered placed next to the railway track near Kirvala village, Khanapur Taluka. Gangman Hanmatappa saw this and informed officials. Sources say the crude bombs were made of gun powder covered with cardboard. The Bomb disposal squad disposed one bomb and took away one for investigation. The dog squad also did complete sanitation of the place after which the trains started to ply after 4 hours on the track. Now they come to Belgaum with bombs, please we dont want communal in belgaum.